PARTRIDGE, EDWARD ALEXANDER, teacher, farmer, agrarian radical, businessman, and author; b. 5 Nov. 1861 near Crown Hill, Upper Canada, third son of John Thomas Partridge and Martha Chappell, farmers; m. 1886 Mary Elizabeth Stephens in Balcarres (Sask. ), and they had three daughters and two sons; d. 3 Aug. 1931 in Victoria. Given the lack of substantial personal material on Edward Alexander Partridge, a full account of this irascible idealist is elusive, but his movement through major economic, social, and political developments in western Canada, between the 1880s and the near collapse of capitalist systems during the Great Depression, does permit some understanding of the intersection of biography and history. Partridge's paternal grandparents came to Upper Canada from western New York State in 1819 and, with other members of the Partridge family, settled on the Penetanguishene Road northeast of Barrie. Close neighbours included the family of Charles Alfred Drury*, whose son, United Farmers politician Ernest Charles*, would marry a Partridge. E. A. 's mother died when he was an infant, and for a time around 1871, while he attended public school, he lived with his Methodist grandparents. Well read, he completed secondary school in Barrie, obtained a teacher's certificate, and taught. But he was a restless youth who at one stage, he later recounted, fell into atheism. Partridge and his elder brother Henry Oscar* moved west to take up farming. They arrived in the District of Assiniboia in December 1883, a year after the Canadian Pacific Railway had reached Regina, and homesteaded north of the station-hamlet of Sintaluta (Sask.). E. A. lacked the money to purchase the equipment and supplies necessary for farming, so he returned to teaching school, first near Broadview, then at Saltcoats and Maple Green near Lemberg. 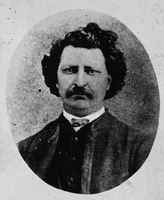 Between April and June 1885, during the North-West uprising [see Louis Riel*], he took time off to serve in the Yorkton militia. While teaching he met Mary Stephens, a young woman from the Balcarres area. They married in 1886 and together they started to build a farm, the Bluffs. An early photograph of Partridge shows a handsome man with a moustache, a full head of hair, and a playful glint in his eyes. To understand Partridge’s later visionary perspectives, his arrival must be seen as part of a historic process that brought about the creation of an agrarian population in the west. Farmers there were independent producers who, business and political leaders envisioned, would be pivotal participants in Canadian economic development. They were to have direct relationships to segments of the economically dominant group of industrialists, transportation companies, and grain merchants, relationships that Partridge and others would come to define as exploitative. What was unusual about Partridge was his highly radical interpretation of this system, which would become the basis of his extreme critique of all Canadian society. The protest movement that was to change Partridge, and which he helped shape, began in times of plenty. The fall of 1901 witnessed a record-breaking harvest of wheat in the west. The CPR and the grain-elevator companies were unprepared to deal with this massive volume of grain, especially in Assiniboia. As a result, much of the crop was lost through spoilage. 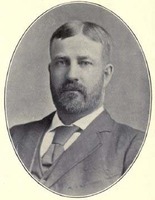 Area mp James Moffat Douglas* had already tried to reform the network and in the 1890s Harry O. Partridge had pushed for a cooperative approach to handling grain. In late 1901 E. A. Partridge and some neighbours began discussing the need for renewed action. They concluded that what was wanted was an organization to speak collectively for the agrarian community on such vital matters as the grain trade and the railways. In December the premiers of Manitoba and the North-West Territories (Rodmond Palen Roblin and Frederick William Gordon Haultain*) met at Indian Head (Sask.) to debate the future relations of their regions. Partridge and other farmers in the area saw this encounter as an opportune moment for a public review of their own problems. As a consequence of a gathering at Indian Head, the Territorial Grain Growers’ Association was officially set up in January 1902, and Partridge became particularly active in it. Intense work followed to form local branches in anticipation of the first convention in February. That spring the Manitoba Grain Act, the federal legislation governing the western trade, was hastily amended to facilitate the erection of grain warehouses and loading platforms, but in the fall of 1902 there was another record crop and again the farmers faced transport problems. They appealed to the Winnipeg district office of the CPR, and were assured that the provisions of the grain act would be obeyed. After they returned home, nothing changed. As a result the TGGA launched legal action against the company’s agent in Partridge’s hometown of Sintaluta. The farmers won the case, which was heard by Partridge’s magistrate-brother Harry, and when the company appealed the decision to the territories’ Supreme Court in 1903, it was upheld. At the TGGA’s annual meeting in 1903, E. A. Partridge led the call for sustained legal action against the CPR for its continuing failure to abide by the grain act. In an address he expressed his concern over the handling of the matter by the government. The convention passed a resolution requesting further amendment of the act to establish a fair mechanism for the allocation of freight cars. The change would be enacted in its essential points later in the year. Though the CPR still ignored the act’s provisions, the amendments and the court success encouraged the farmers to broaden their concerns, a development that heralded a much more significant social movement. As would often be the case in later years, Partridge applied himself with zeal: he raised new issues, suggested innovative solutions, and always demanded consideration of novel possibilities. In 1904 he delivered a paper to the general meeting of the TGGA entitled “How may the Grain Growers’ Association be made more useful and permanent.” One way the incomes of members could be enhanced was through cooperative selling, the avenue once promoted by Harry Partridge. Using the example of a cooperative venture in Minnesota, E. A. began to agitate for a farmer-owned cooperative trading company in the territories. Among his other proposals were calls for more direct political action and a newspaper “to keep our sub-associations in touch with one another and with the executive.” As well, he urged farmers to make sure governments knew about their legislative needs. These suggestions, in contrast to Partridge’s later advocacy, displayed confidence in existing political structures and their more effective use by farmers. Despite some legislative gains, farmers still had a number of concerns regarding the conduct of the grain business. A group in Sintaluta decided that first-hand knowledge was required, so Partridge was sent to the Winnipeg Grain and Produce Exchange to investigate. On 7 Jan. 1905 he arrived in the Manitoba capital, where, according to journalist Hopkins Moorhouse, the grain men patronizingly brushed him off as “that man Partridge,” an epithet that stuck. A month later he left, bitter and convinced that the exchange did not serve the interests of the real producers of wealth – the farmers – and that western growers needed their own cooperative company more than ever. On the way home he stopped in Brandon to address the annual assembly of the Manitoba Grain Growers’ Association, where he pitched his idea for a farmer-owned cooperative grain-handling company. In October 1905 Partridge and other farmers from the Sintaluta area met in a local hardware store to take direct steps towards forming a cooperative. The Grain Growers’ Grain Company Limited resulted in January. In April 1906, in Winnipeg, representatives from Manitoba and the new province of Saskatchewan organized a campaign to sell shares. 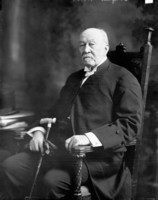 Although there were hurdles, by that summer the company, under Partridge’s presidency, had enough support to justify acquisition of a seat on the Winnipeg grain exchange. The new body immediately came under attack when established traders attempted to crush it by suspending its trading rights. This assault was nearly successful, but, with the assistance of a Scottish cooperative wholesale society, some grain was sold and the company survived; it would transform itself into the United Grain Growers in 1917. The assault did not go unchallenged. Partridge, it was believed, was behind the Manitoba GGA’s suit in 1906-7 against three members of the exchange for conspiracy in restraint of trade. The case was dismissed in May 1907, but out of court, and under some pressure from the province, the GGGC’s trading rights had been restored in April. During the fall of 1907 the first in a series of personal tragedies befell E. A. and Mary Partridge. While harvesting, he lost his left foot in a binder accident, an injury that necessitated several medical trips to the United States. Physical impairment, however, did not deter him in his quest to better the farmers’ lot. After the GGGC had been reorganized in April on less explicitly cooperative lines and he had to step down as president, his pursuit found other avenues. Partridge and others had long expressed concern about the manner in which their grievances were handled by the press; he had argued unsuccessfully in 1904 for an official organ for the TGGA. In 1908 the GGGC and the Manitoba GGA agreed to produce a monthly journal, the Grain Growers’ Guide (Winnipeg). Partridge was appointed its first editor, but conflict erupted over his desire to have it serve both the farmers and the organized working class, who had entered his purview, and he edited only the first issue, published in June. Besides, more important matters were emerging, though Partridge would continue to use the Guide as a forum for his agrarian and social views. Within months of its launch, the Guide printed his most radical proposal to date: his contentious call for the public ownership of grain elevators. Termed the Partridge Plan, it advocated a nationwide overhaul of the grain-handling business. The dominion would operate the mammoth terminal elevators and the provinces would take over the elevators in the interior. Such a scheme had, in fact, been accepted at the February 1908 convention of the Saskatchewan Grain Growers’ Association. Though the need for public ownership had recently been rejected by a federal grain commission, Partridge’s reiteration in the Guide gave the idea new life. That fall it was taken up by the three prairie premiers: Manitoba would eventually undertake some ownership; Saskatchewan and Alberta favoured the cooperative route. In 1909 a determined Partridge went to Ottawa as part of a grain growers’ delegation to push for federal ownership of terminal elevators. Among the other projects that engaged him were the creation of a national agrarian fraternity and the famous “siege of Ottawa.” He was one of the western leaders who went to Toronto in 1909 for the Dominion Grange’s annual meeting, chaired by E. C. Drury. At this meeting the Grange, the western grain growers’ associations, and the Farmers’ Association of Ontario [see Caleb Alvord Mallory*] formed the Canadian Council of Agriculture. The idea of a major trek to Ottawa by organized farmers had been suggested in the Grain Growers’ Guide as early as August 1908. The matter was discussed at various meetings in the months that followed, a major position paper referred to by the Guide as the farmers’ bill of rights was prepared, and the council of agriculture threw its weight behind sending a contingent to Ottawa to lobby the Liberal government of Sir Wilfrid Laurier* on a host of agrarian issues [see James Speakman*]. In late 1910 a delegation was formed. Estimated at 850 to 1,000 strong, with 500 to 600 representatives from the west, they converged on Ottawa and marched to the House of Commons on 16 December. The government made the unusual gesture of permitting them to enter the house to present their briefs, including a document that became known as the farmers’ platform, the first explicit declaration of the movement’s concerns, including railways, terminals, banking, cooperative societies, and trade tariffs. As one of the delegates, Partridge, whose role seems to have been low key, was given the opportunity to make a plea for a land tax to replace the tariff. During the trip he also found time to address the Canadian Clubs in Toronto and Ottawa on the problems facing farmers. In 1912 Partridge had a serious falling-out with the GGGC over a speculative purchase of oats by one of its executives. Feeling that company president Thomas Alexander Crerar* should also be dismissed, he left in a fit and attempted to form his own grain company, but business management was not his forte. It failed for lack of support. In 1916 the directors of the GGGC would considerately begin sending their old colleague money. Agrarian and other forms of protest subsided considerably after the beginning of World War I in August 1914. The war period brought the Partridges unimaginable personal grief. The first blow had occurred on 14 June, when their daughter May Virginia drowned while swimming near the farm. Both of Mary and E. A.’s sons got caught up in patriotic fervour: Harold Edward entered the Royal Air Force and Charles Grover enlisted in the Princess Patricia’s Canadian Light Infantry. As always seems to be the case in war, one of the calamities of the European conflict was the destruction of society’s youth. Just two years after the loss of May, Charles was reported missing in action, his death apparently occurring on 15 Sept. 1916. In 1918 came the news that Harold had been killed during a training flight in England. Not surprisingly, Partridge was absent from meetings and political activity for a time. He re-emerged in 1919 to successfully block the Liberal candidacy, in the federal by-election in Assiniboia, of William Richard Motherwell*, the former president of the TGGA who had opposed the Partridge Plan. United Farmers candidate Oliver Robert Gould won by a large majority. Partridge also took part in the run-up to the 1921 general election, which organized farmers were vigorously contesting through the new Progressive Party, a combination of prairie farmers and dissident Liberals [see John Douglas Fraser Drummond*]. Neighbours persuaded Partridge to seek the Progressive nomination in Qu’Appelle, even though he had become dismissive of parliamentary politics. He used his time to denounce the undemocratic nature of the process, but oddly enough he came within six votes of winning the nomination, which went to Indian Head farmer John Millar. On the economic front in the 1920s, Partridge supported the re-establishment of the Canadian Wheat Board, which, despite the stability it had brought growers, had been disbanded in 1920. Although his campaign was unsuccessful, it and the move towards wheat pooling did contribute to the formation of the United Farmers of Canada (Saskatchewan Section) in 1926. Representing the more progressive farmers, the section passed a resolution at its first convention in March 1927 expressing its admiration and respect for Partridge, and then it created the position of honorary president to recognize him. Throughout the course of Partridge’s thought, which would lead to his most striking publication, in 1925, his call for social change was a constant element. Going beyond the liberal reform ideas within the early SGGA, he had voiced concern about the unequal distribution of wealth within society as far back as 1905. Two years later, in a pamphlet on the GGGC, he argued that the “capitalistic classes” had united to control the press, the educational system, and the legislative process. The government-owned elevators called for in the Partridge Plan were part of the struggle “against vicious commercialism and industrialism.” In 1913, after SGGA delegates rejected a proposal that the association enter politics, he set up the short-lived No-Party League of Western Canada. Its published manifesto, written by Partridge, promoted a host of social-democratic ideas, including a denunciation of “inequality and unbrotherliness” and the formation of an alliance between farmers and urban workers. Partridge’s contributions to the Grain Growers’ Guide from 1909 to 1919 show that he was motivated, as historian Richard Allen explains, by “a practical, ethical Christianity mixed with Ruskinian socialism.” It was necessary, Partridge said, to apply Christianity to politics and to a society where affluence and competition only delayed the coming of the kingdom of God. This emphatic propagation of the Social Gospel was found too in the work and thoughts of other western agrarian leaders, among them Percival Baker* and Henry Wise Wood*. In Partridge’s case, it may have had roots in his religious development as a youth in Ontario. Perhaps because of his lameness or a desire to stay home with his beloved wife, Partridge seems to have travelled little in the 1920s. Instead, drawing upon his vast, eclectic reading – in such sources as German democrat Walther Rathenau, philosopher Bertrand Russell, and Canadian mp Agnes Campbell Macphail* – he put pen to paper and wrote A war on poverty: the one war that can end war (Winnipeg, ). A virulent attack on capitalists, big industry, and poverty and a clarion call to underpaid labourers and the exploited poor, this 225-page, self-published book contains an explicit account of his nostrums. By the mid 1920s his views were significantly more radical than any he had previously expressed. Though A war on poverty lacks both literary merit and a tightly knit argument – Partridge fairly describes it as a “medley” of fact, fiction, and incitations – it offers insight into some of his core values, among them his abiding humanitarianism, insistent optimism, committed pacifism, and unabashed pride in being utopian. Among the book’s few biographical aspects are the shifts it traces in Partridge’s perspectives on life and religion. The work is rife with references to the Supreme Being. Partridge could not accept a God that was “fuller of commands than compunctions; fuller of pride than pity; fuller of kingly arrogance than of fatherly affection.” His attitude had resulted in a crisis that caused him temporarily, as a boy, to regard himself as an atheist. In time, however, inspired by the teachings of Jesus, he changed: “I turned for comfort to the reputed words of his Gospel of ‘Peace on earth, Good-Will towards Men,’ – would that this Gospel had been accepted by humanity before the last war had been fought – and his Epitome of Social Science which contains but one sentence – ‘Do unto others as ye would that they should do unto you.’” Partridge’s conception of the Deity’s definite presence on earth clearly comes out of the Social Gospel tradition. In his opening “Call to conference,” which apparently had appeared as a pamphlet, he challenges Christians. On the Lord’s Prayer, he states, “It seems a silly thing to pray every morning for the Kingdom of Heaven to come, and not be expecting it, and, what is more, working for it. To work for a state or condition one must have some sort of a mental picture of it. To me the Kingdom of Heaven suggests a Co-operative Commonwealth. I have no desire to take it by violence, being content to help bring it in by spreading a conviction of its desirability, and the practicability of its establishment, among my fellows by means of the printed page.” A precondition for the cooperative commonwealth is the formation of an independent, idyllic western Canadian state called Coalsamao (an amalgam of letters drawn from the names of the provinces affected, including part of Ontario). It is in this perfected state, which Partridge describes in detail, that his social blueprint could be implemented. Beyond its value in helping explain Partridge, A war on poverty had no lasting impact. William Charles Paynter’s utopian settlement near Spy Hill, Sask., came close in concept to the utopias developed in Partridge’s book and in Robert James Campbell Stead*’s fictitious Dennison Grant … (Toronto, 1920), but it was short lived. Partridge’s millennial hopes have parallels in the thinking of such Social Gospellers as Albert Edward Smith* and William Ivens*. The idea of a cooperative commonwealth has links perhaps to Marxism but more directly, in Canada, to the sentiments of cooperative disciples George Keen* and James Shaver Woodsworth*. Yet as genuine utopian exposition, A war on poverty has no equal among Canadian social tracts of the 1920s. What emerges clearly from it is the sincerity of E. A. Partridge’s social thinking, however disjointed. The completion of A war on poverty was followed by yet another family tragedy, one that Partridge was never able to overcome. While working in their garden in 1925, his wife suffered a fatal heart attack. A year later Partridge, then in his sixties, left the Bluffs for the last time, when he moved to Victoria to be near his youngest daughter, Enid Mary. He subsequently maintained an active interest in politics; indeed, his critical assessment of capitalism became more pronounced. With his faith in cooperation diminishing, he saw a need for the fundamental transformation of the economic structures of capitalism. He was involved in correspondence with activists in the United Farmers of Canada and the Farmers’ Unity League, a communist body formed in Saskatoon in 1930. One of his last surviving written communications is a letter to the 1931 annual meeting of the United Farmers in which he advocated a radical socialist restructuring, including the formation of a “workers’ government” that would be popular with both “our penniless, marketless farmers” and “propertyless, jobless wage-workers.” Such rebuilding would represent the fulfilment of one of Isaiah’s biblical prophecies (65:21-22). As the Great Depression took hold in the early 1930s, with such devastating impact in Saskatchewan, Partridge faced an ultimate decision. The capitalist system he had grown to loathe seemed to be collapsing and radical political movements were emerging – the Co-operative Commonwealth Federation would be founded in Calgary in 1932 by Woodsworth and others. But in 1931 Partridge was ill; arthritis and his leg nagged him. His wife was gone, his only income was a monthly stipend of $75 from the United Grain Growers, and it was clear to him that, beyond letter writing, he was not likely to play a key role in the developments he hoped would come. Thus, on 3 Aug. 1931, he turned on the gas in his boarding-house room in Victoria and asphyxiated himself. Edward Alexander Partridge is the author of Manifesto of the No-Party League of Western Canada (Winnipeg, 1913); National wheat marketing (n.p., [1921? ]); and A war on poverty: the one war that can end war (Winnipeg, ). Sask. Arch. Board (Regina), Clippings file, biog., Partridge, Edward Alexander; R-E531 (Partridge family hist. file). Sask. Arch. Board (Saskatoon), S-A118 (Partridge papers); S-B2, I.3 (Territorial Grain Growers’ and Sask. Grain Growers’ Assoc., convention reports, 1902-26), VII.1 (United Farmers of Can. (Sask. sect. )), annual convention, 1927-47. Richard Allen, “The Social Gospel as the religion of the agrarian revolt,” in The west and the nation: essays in honour of W. L. Morton, ed. Carl Berger and Ramsay Cook (Toronto, 1976), 174-86; The social passion: religion and social reform in Canada, 1914-28 (Toronto, 1971; repr. 1990). Carl Berger, “A Canadian utopia: the cooperative commonwealth of Edward Partridge,” in Visions 2020, ed. Stephen Clarkson (Edmonton, 1970), 257-62. Keith Dryden, “The Sintaluta trial,” Western Producer Magazine (Saskatoon), 8 June 1961: 17, 19-21. K. M. Knuttila, “E. A. Partridge: the farmers’ intellectual,” Prairie Forum (Regina), 14 (1989): 59-74; “That man Partridge”: E. A. Partridge, his thoughts and times (Regina, 1994). Ian MacPherson, Each for all: a history of the co-operative movement in English Canada, 1900-1945 (Toronto, 1979). Hopkins Moorhouse [A. H. J. Moorhouse], Deep furrows, which tells of pioneer trails along which the farmers of western Canada fought their way to great achievements in co-operation (Toronto and Winnipeg, 1918). H. S. Patton, Grain growers’ coöperation in western Canada (Cambridge, Mass., 1928). A. W. Rasporich, “Utopian ideals and community settlements in western Canada, 1880-1914,” in The Canadian west: social change and economic development, ed. H. C. Klassen (Calgary, 1977), 37-62. K. Murray Knuttila, “PARTRIDGE, EDWARD ALEXANDER,” in Dictionary of Canadian Biography, vol. 16, University of Toronto/Université Laval, 2003–, accessed April 26, 2019, http://www.biographi.ca/en/bio/partridge_edward_alexander_16E.html.